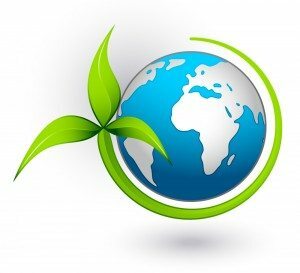 Gurtler Industries offers a wide range of products and services that can help a laundry operation be more energy efficient, conserve resources, and have a lower impact on the environment. The following is a brief compilation of these products and programs. Our geLINE employs several progressive technologies to further energy efficiency and resource conservation. Please review our geLINE page for comprehensive information on our innovative product. New Surfactant Technology: Gurtler has a line of detergents available that utilize surfactant technology that meets the requirements of the US EPA’s Safer Detergent Stewardship Initiative (SDSI). These products incorporate surfactants that are considered more eco-friendly due to their improved biodegradability. Concentrated Product Technology: Gurtler’s liquid products have been formulated to maximum concentrations so a little product goes a long way. With high-active products we reduce the amount of packaging materials that are required and reduce delivery frequency (saving fuel and transport costs). Limited Phosphate Products: Gurtler has a full line of low and no-phosphate detergents and builders. Limiting the amount of phosphate that is discharged to the waste stream helps maintain the quality of our surface waters, streams and lakes. Low Temperature Products: Gurtler has a full line of products designed to work most efficiently at lower temperatures, conserving energy. Oxygen bleaching: Gurtler has broad experience with the use of oxygen bleaching technology. Chlorine bleach can have adverse effects on the environment as it is discharged into the waste stream. The use of oxygen bleaching is a practical alternative to chlorine. Enzyme Technology: Gurtler has enzyme-based detergents that may, in many cases, significantly reduce or eliminate the need for bleaches for stain removal. Wash Formula Design: Gurtler works with each customer to design optimized wash formulas that balances productivity, chemical levels, water requirements, and energy usage with overall quality. The design of overall wash formulas for an operation is a science that requires consideration of numerous factors. When energy and resource conservation has a high level of criticality, our Gurtler team can set up your wash formulas to be most efficient. Equipment Audits: Gurtler’s Technical Service team performs routine equipment audits in the laundry to make sure that critical components are functioning as needed. For example, our technicians check the water levels and drains for proper function to make sure that water is not wasted. Wash times and temperatures are also routinely checked to make sure that the operation is running efficiently and utilizing the appropriate level of hot water and energy. Energy audits: Gurtler service technicians will perform a thorough energy audit that evaluates the amount of energy used in the overall washing process. This audit can be used to evaluate potential energy savings opportunities with use of lower temperature wash technology. Dryer energy issues: Gurtler evaluates the entire energy profile in the laundering process, including the drying operation which is the number one energy requirement. Evaluation of extraction efficacy will help pinpoint potential savings opportunities. Loading factors: Wash machine loading is the number one area that must be controlled to conserve resources. Under-loading can waste labor, water, energy and chemicals, impacting the environment unnecessarily. Increasing loading factors by 5-10% can have an immediate impact in the reduction of resources. Slight increases in chemistry and in wash times can offset increased loading factors which can reduce water and energy usage. Rinsing Efficiency: Our technicians closely monitor the rinsing operation in the laundry to make sure that excess water is not called for. Low alkaline washing technology can be utilized to reduce rinsing requirements. Use of oxygen bleaches can also conserve water with the use of combined wash and bleach operations which require less water than separate wash and bleach operations that are needed with chlorine bleaching. Water Reuse: Gurtler has developed technology that helps tunnel washer laundries conserve even more water with an increase in the reuse of water in the process. This unique technology has saved one of our customers 31 million gallons of water in the first year! Contact Gurtler to learn how we can cut your water usage as much as an additional 50%.